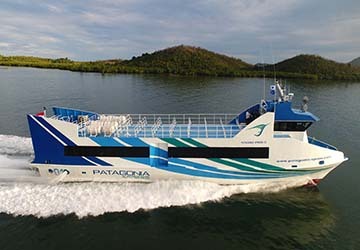 Patagonia Xpress is one of Bali's largest operators, providing a luxurious fleet of fast ferries to transport passengers between Bali, Gili Islands and Lombok. The vessels capacity varies between 182 and 190 passengers for each of its voyages. The ferries come with the latest modern safety equipment. The ships travel at speeds reaching 30 knots and have an expansive sun deck so you can take in the stunning sea vistas as you speed through the waves. 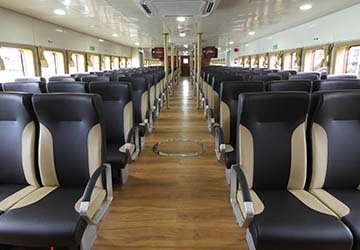 It comes with comfortable seating, a downstairs air conditioned cabin, toilets and Wi-Fi. The safety features include GPS and AIS technology. ship to shore radio with DSC, life jackets, life rafts and fire extinguishers. 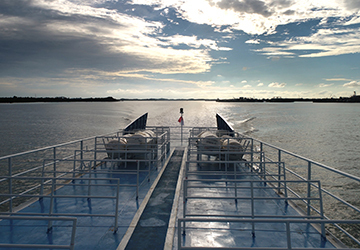 Please Note: Whilst we have taken great care in making our Patagonia Xpress guide as accurate as possible, onboard facilities, services and entertainment may vary depending on the date and time of year that you travel, facilities mentioned may change without notification and ferry companies reserve the right to operate vessels other than those mentioned at time of booking without prior notification.